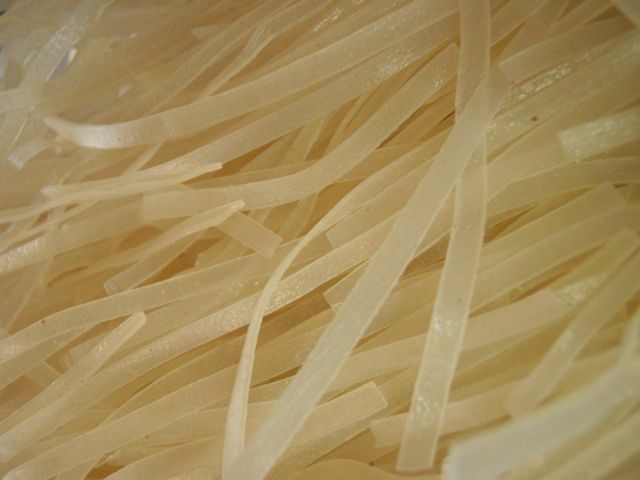 Prepare the rice noodles according to the directions on the packet. 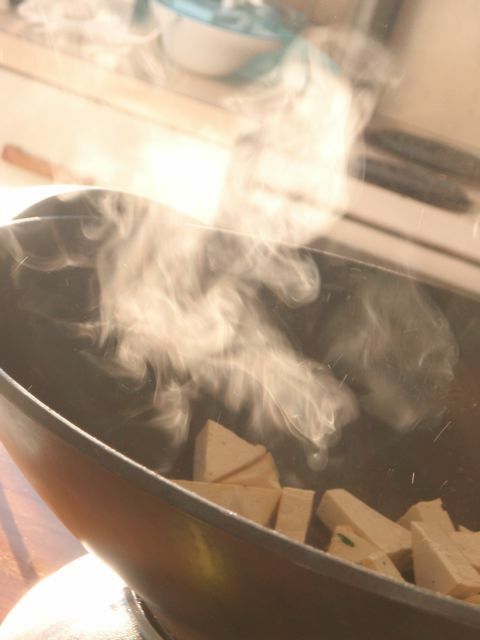 Preheat a large nonstick frypan or wok over moderate-high heat, then quickly add the tofu. 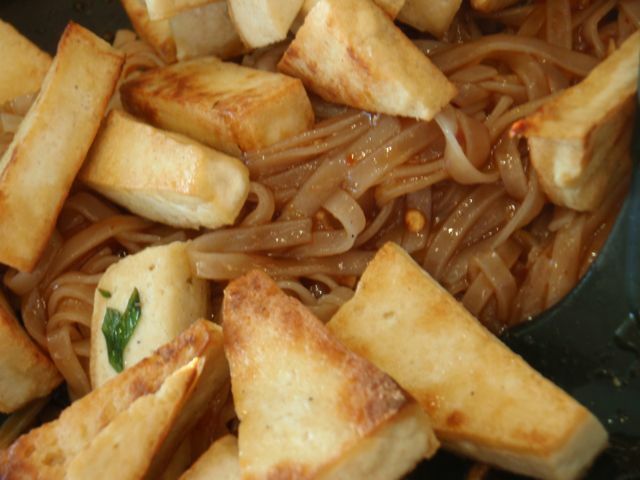 Stir fry for for 4 – 5 minutes, until the tofu is crisp on the outside. Remove from pan and set aside. 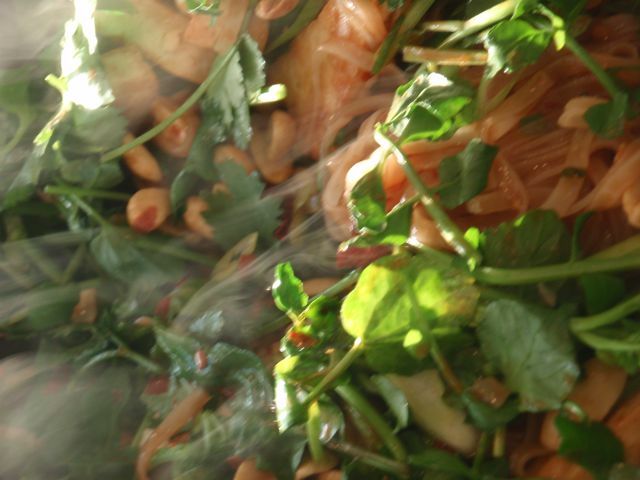 Pour 2 tablespoons more of the oil into the pan, add the garlic and lemongrass, stir fry for 30 seconds. Add the sauce and when it starts to bubble, add the noodles. 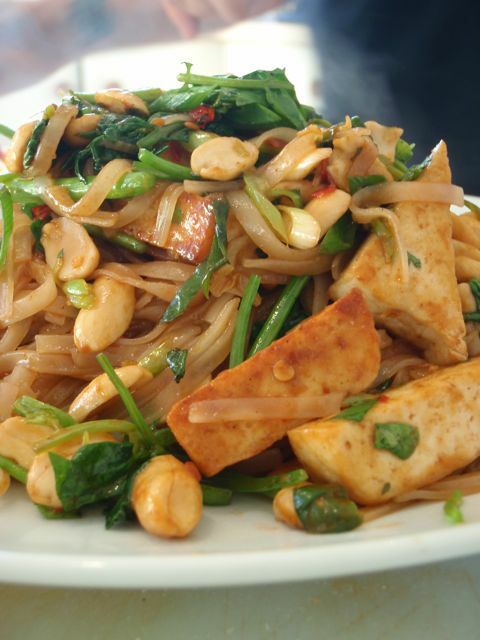 Cook for 2 minutes, stirring constantly, then add the tofu, bean sprouts, spring onions, chillies, and peanuts. Stir for 30 more seconds. 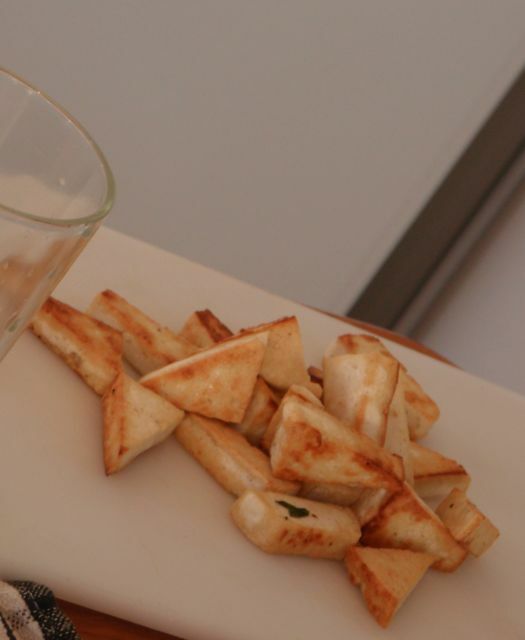 Transfer to two serving plates and garnish with coriander and lime wedges. Thanks for the comment! 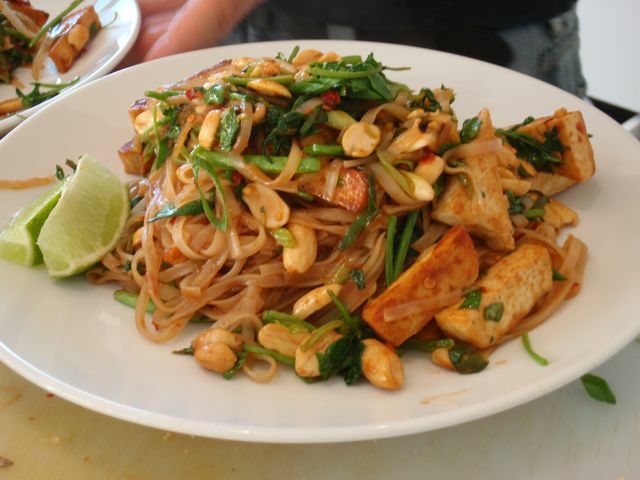 Did you end up giving the recipe a try?